Mark attended the University of Michigan where he earned his bachelor’s degree as well as his medical degree. 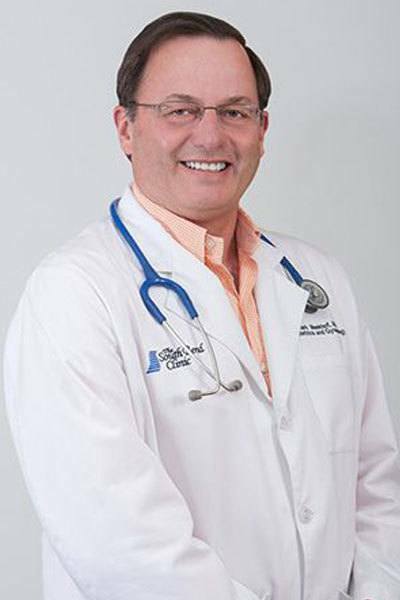 He completed his residency with East Carolina University and is board certified in obstetrics and gynecology. He has special interests in perimenopause, menopausal women’s health care, as well as Novasure ablations for the treatment of heavy or frequent menstrual cycles. He is a member of the American College of Obstetrics and Gynecology. Mark and his wife, Carla, have 3 daughters. The family has a special interest in the Reins of Life Therapeutic Horseback-riding Center/ program in South Bend and enjoy snow skiing, water sports, college football, and tennis.